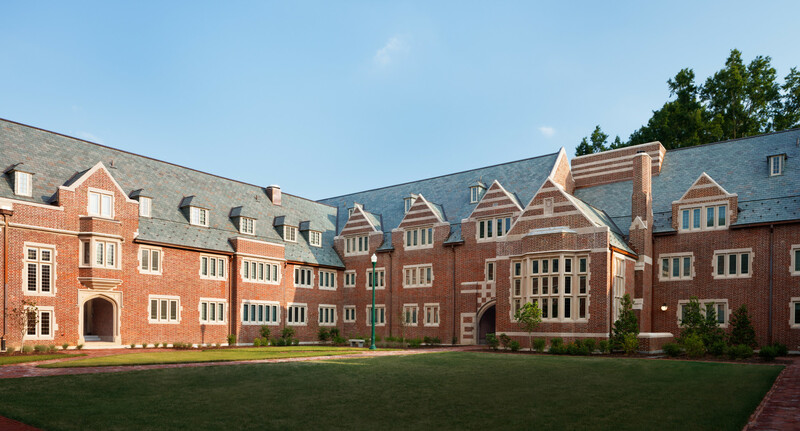 ORIGINALLY DESIGNED BY Ralph Adams Cram, the 66,000 sf, 100-year North Court was built as a residential community for Westhampton Women’s College (now the University of Richmond). 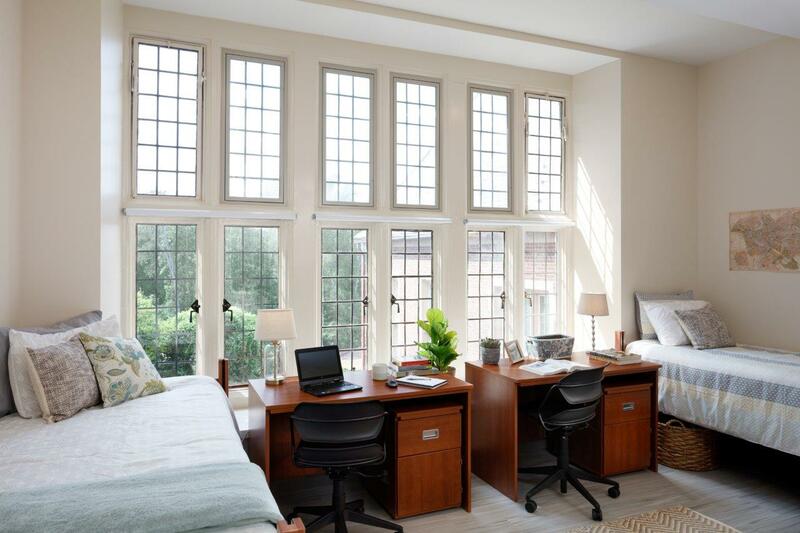 Still a popular housing option for students, the University of Richmond recently commissioned Glavé & Holmes Architecture to fully renovate the residence hall. 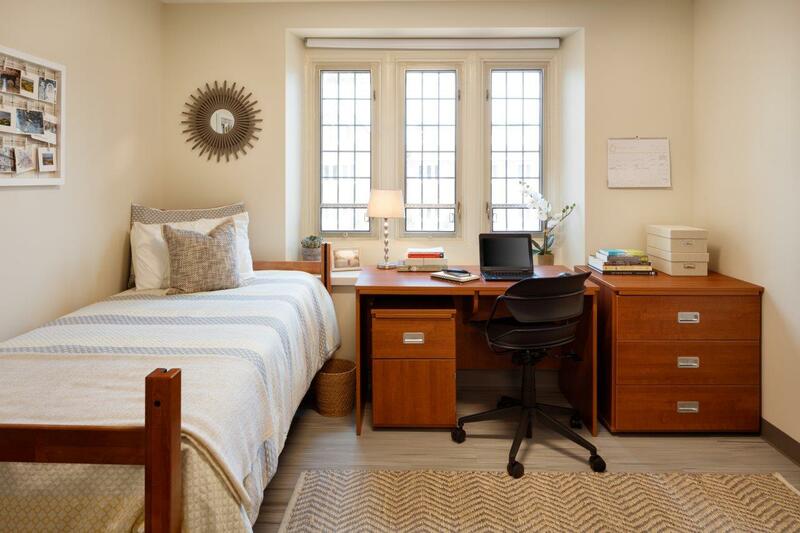 Traditional hall style rooms and common baths will be replaced by semi-suite configurations, with expanded amenities for social gathering, study groups, and formal meetings. 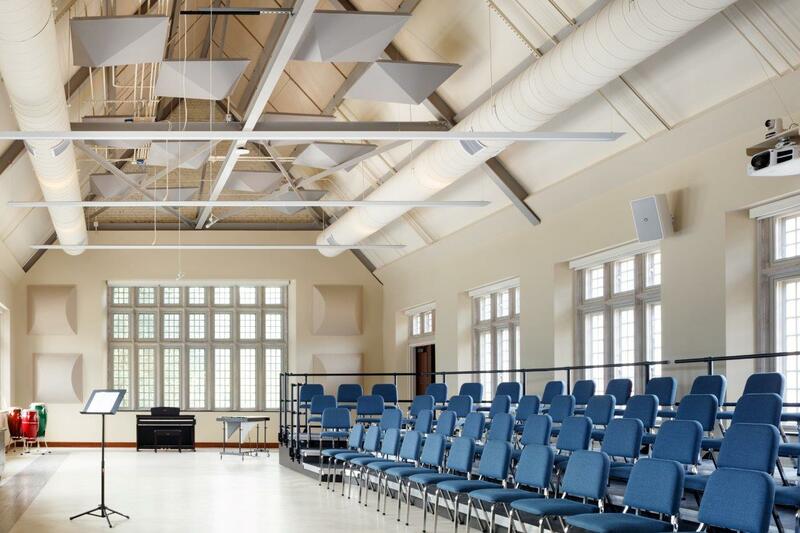 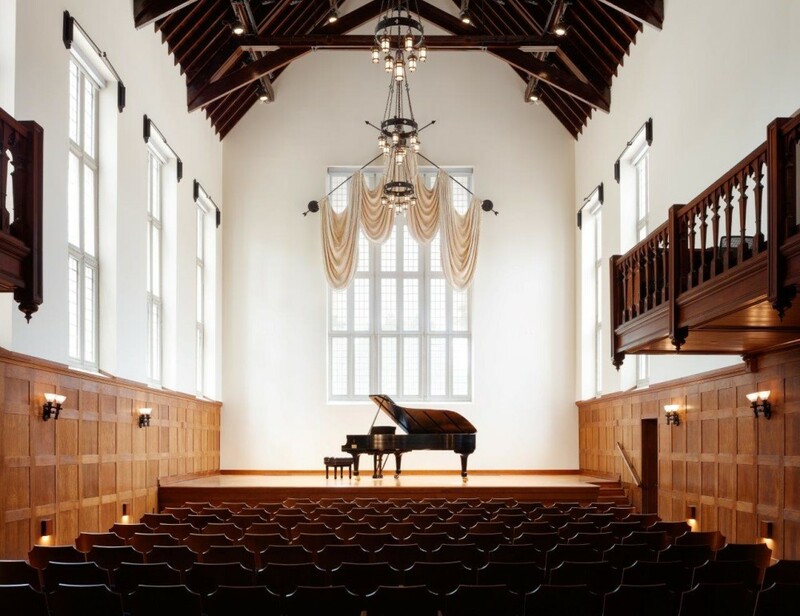 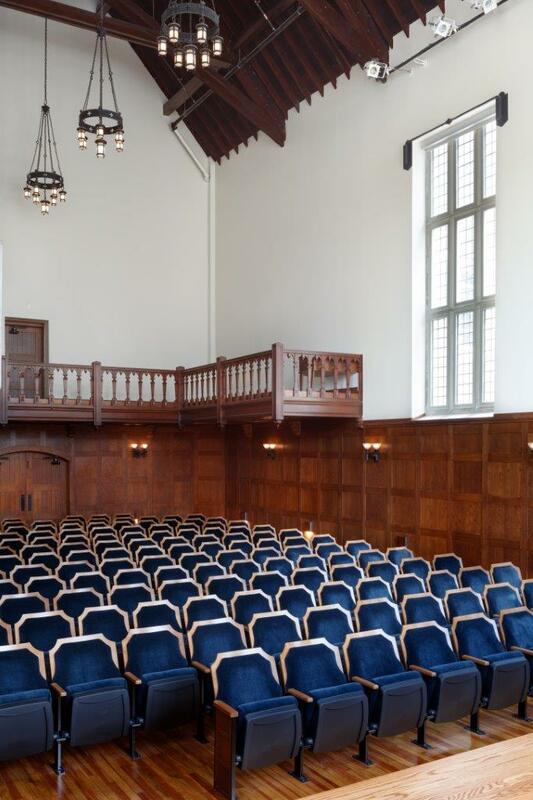 The original dining hall and large meeting spaces have been transformed to house the music department, with a recital hall, choir room and world music practice room attuned to meet the growing demands of the music department. 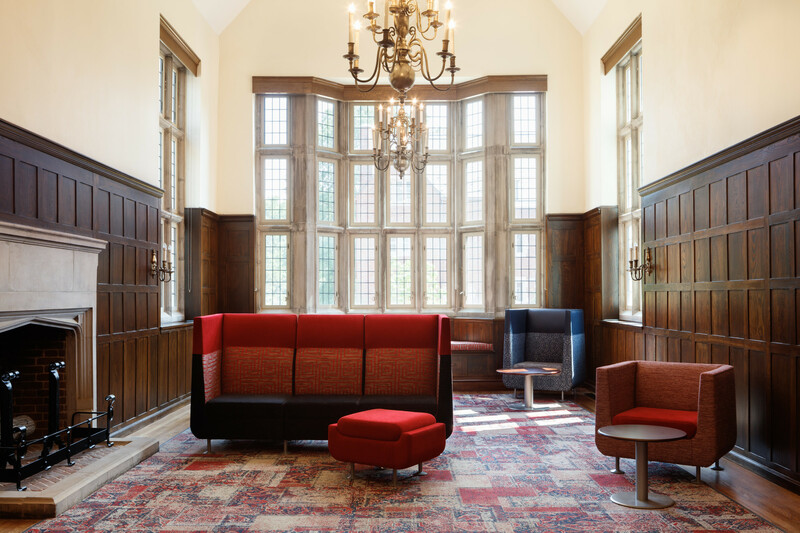 The interior spaces are warm, inviting and enduring in nature, as was the original intent of Cram’s multi-functional building. 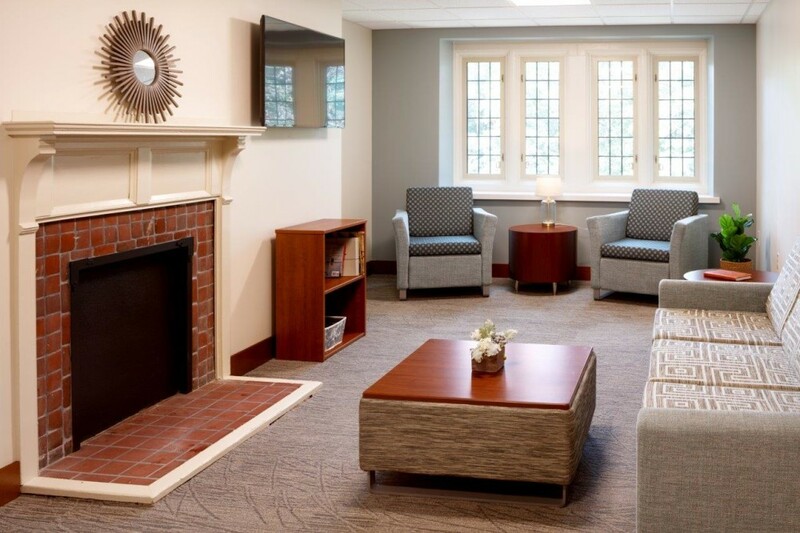 The renovation includes new building systems and modifications for code and accessibility compliance. 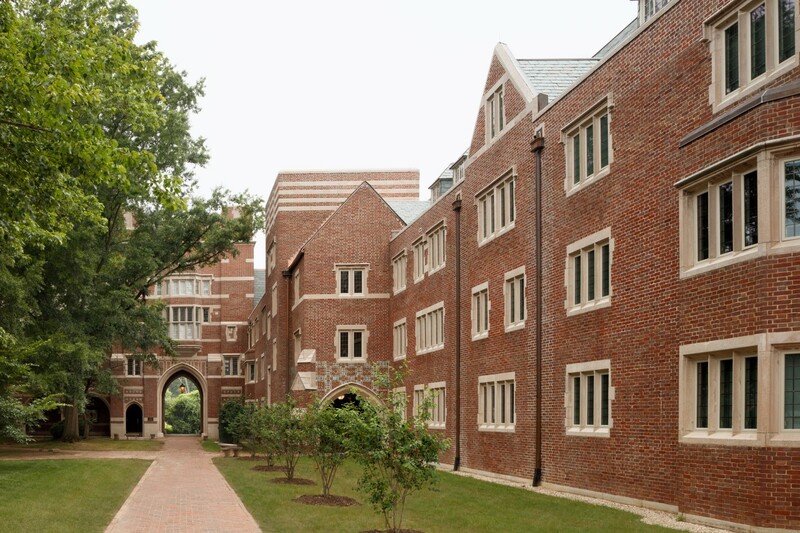 The project also includes a comprehensive remediation of the building envelope to resolve water infiltration issues and increase energy efficiency. 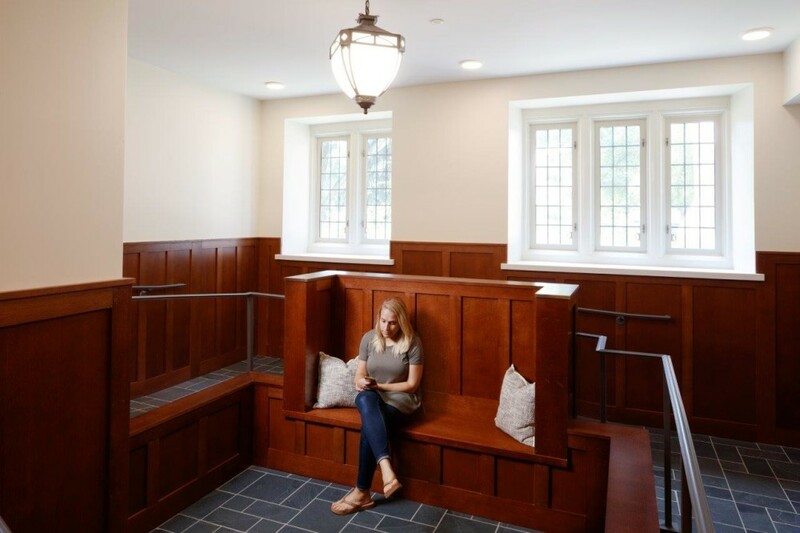 Glavé & Holmes Architecture utilized point cloud technology to capture existing conditions of the building and collaborated with the construction manager to develop a BIM model that aided in the design of the project.